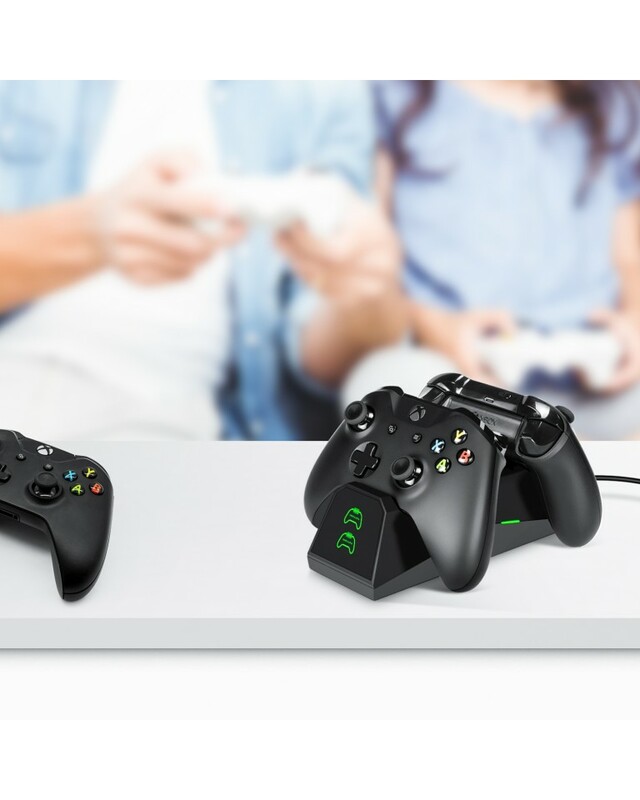 Professionaly Designed: This Dual Charging Dock is specially designed for charging Xbox One Controllers. 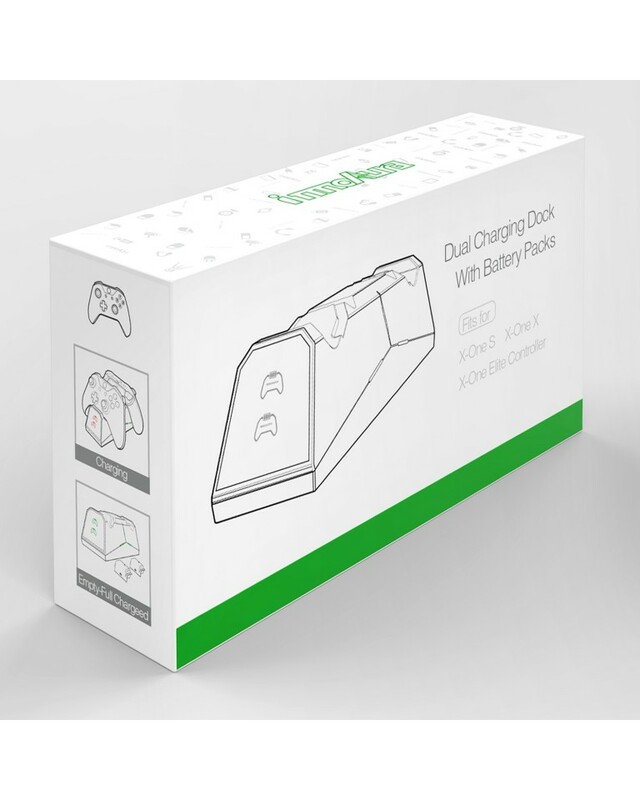 Compatible with Xbox One (S) / Xbox One X / Xbox One Elite Controller. 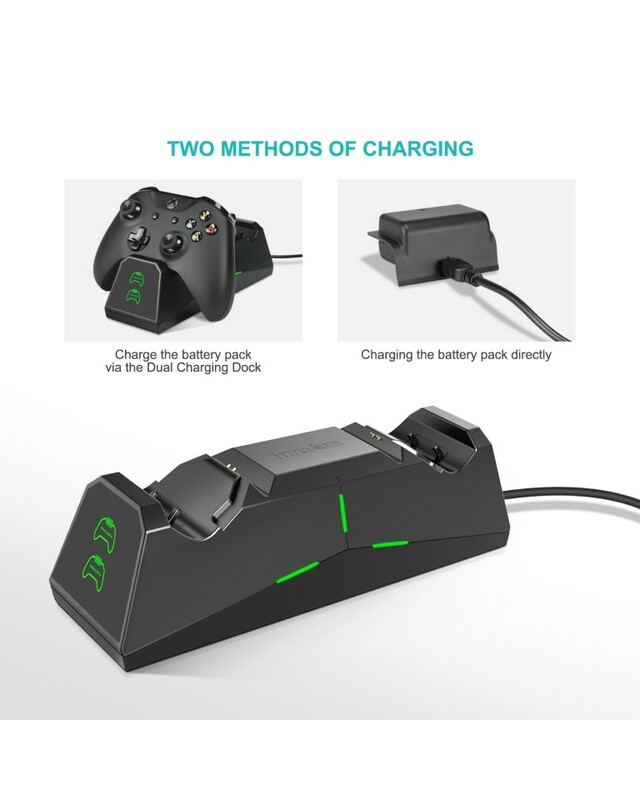 Efficient Charging: Charging two controllers simultaneously, allowing you to enjoy long hours of interrupted playing time. 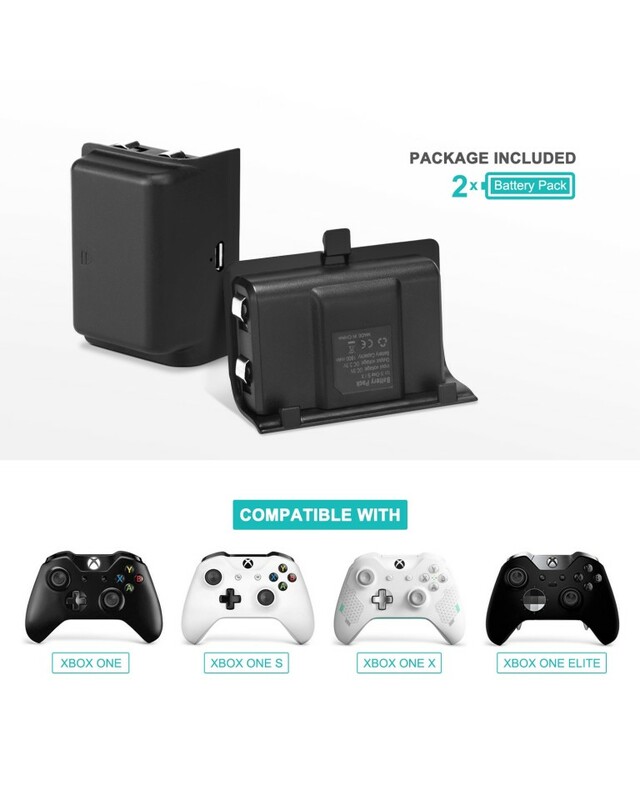 High Capacity Batteries: Xbox One controller rechargeable battery pack include two 1800mAh batteries, keeping you powered up and ready to play. Led Indicator：Individual LEDs indicate charge level for each Controller. 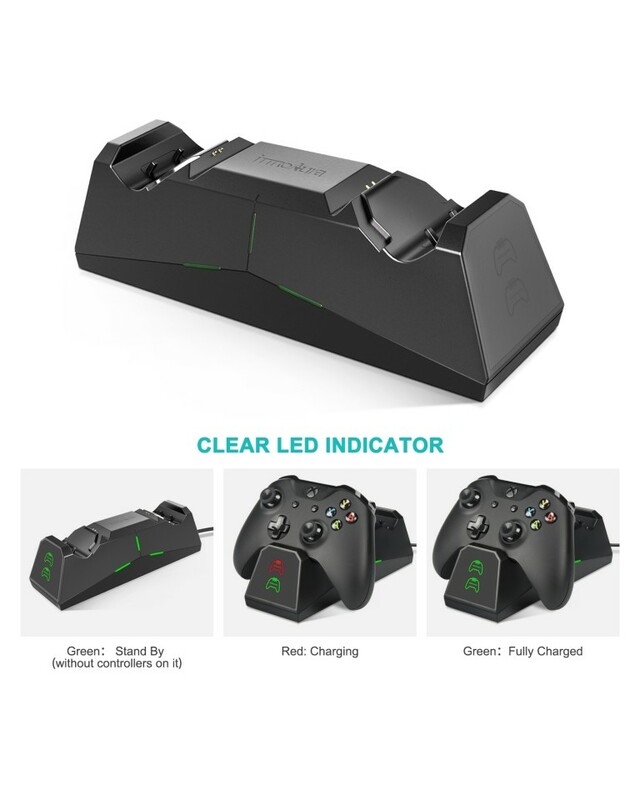 It is red light when charging and turns to green when fully charged and standby. 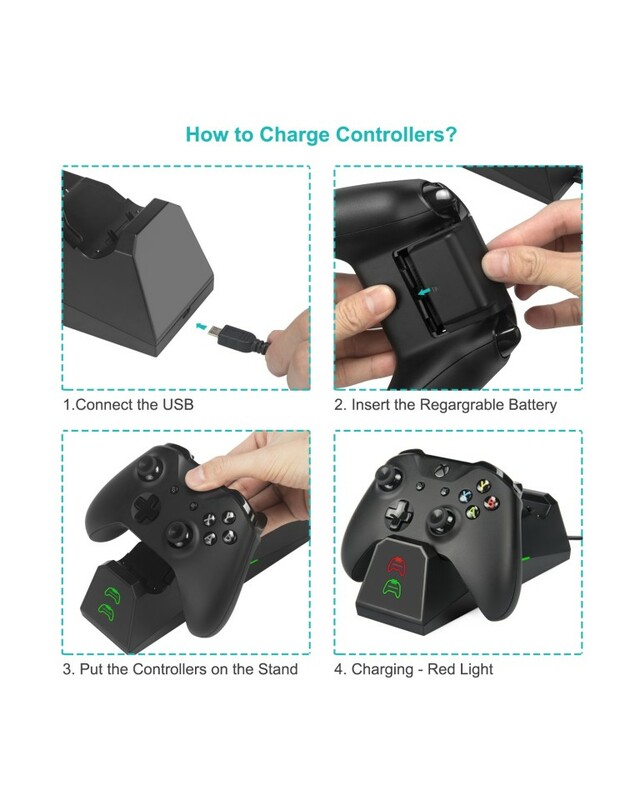 Easy To Use: Connect the USB and just put your controllers into the charging dock, then it will charge. 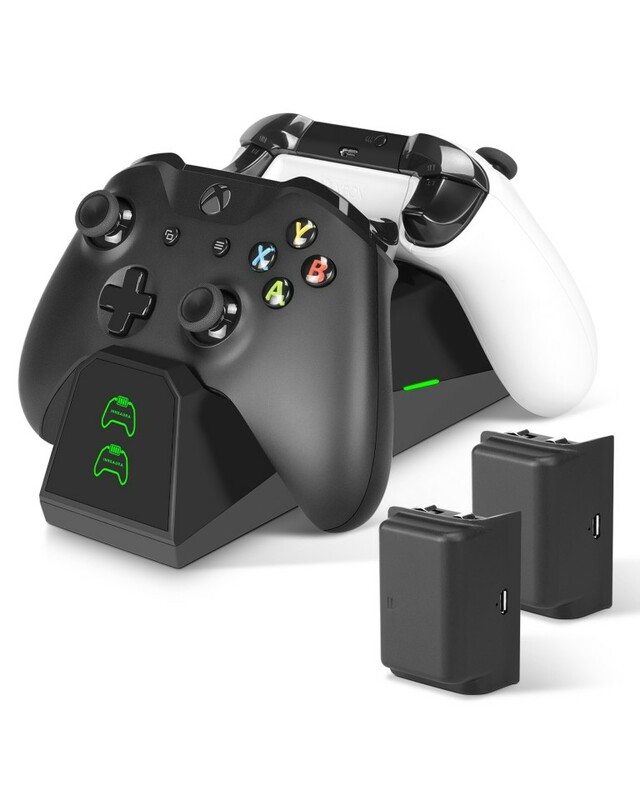 innoAura Dual Charging Dock is a professional design to fit Xbox One (S) / Xbox One X / Xbox One Elite Controller. Buy it Now! 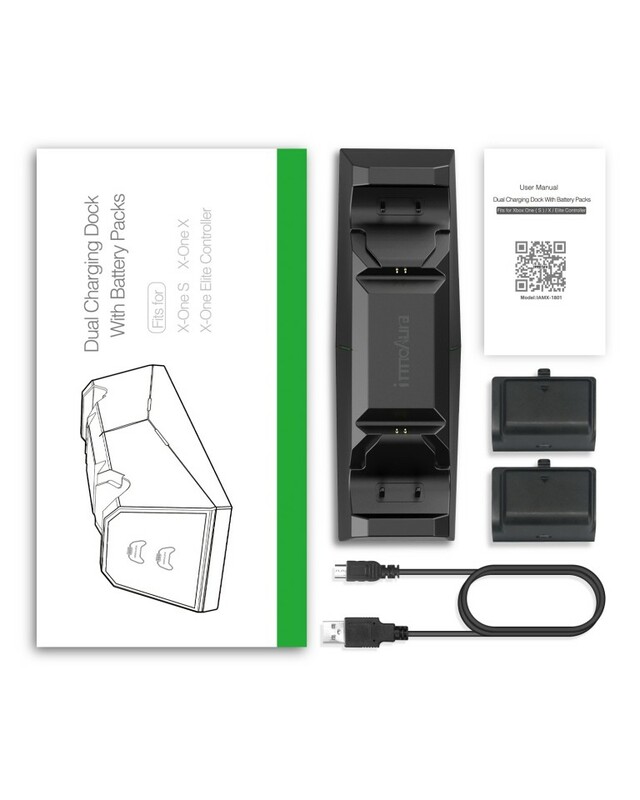 You will get Charging Dock, USB C charging cable, Two 1800mAh batteries. 1-YEAR Warranty and lifetime Free Technical Support.